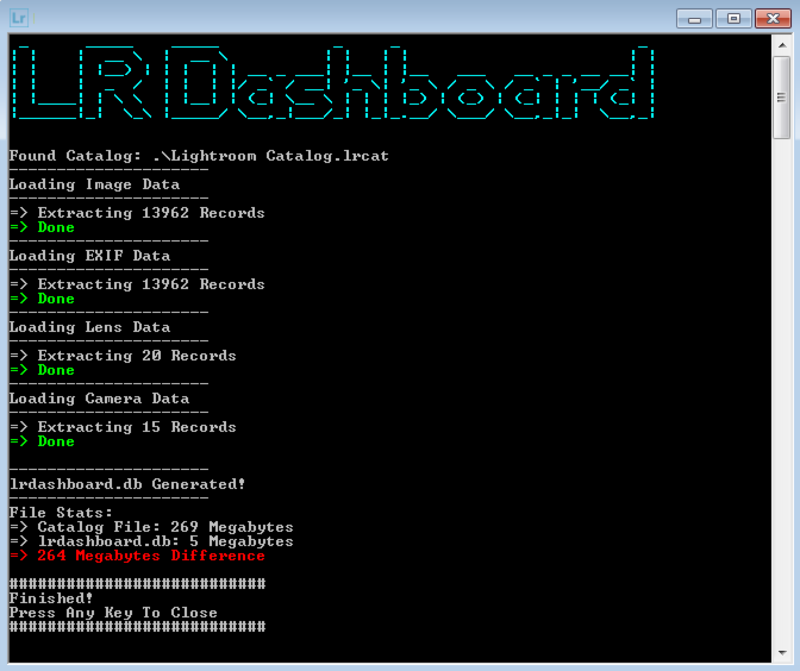 The Lightroom Dashboard loads your entire catalog into memory before calculating the statistics used on the site. For people with large catalogs this can cause problems as the browser can only allocate so much memory before it will crash. Many people with large catalogs may of seen the "Out of memory" error and would be unable to load the dashboard. 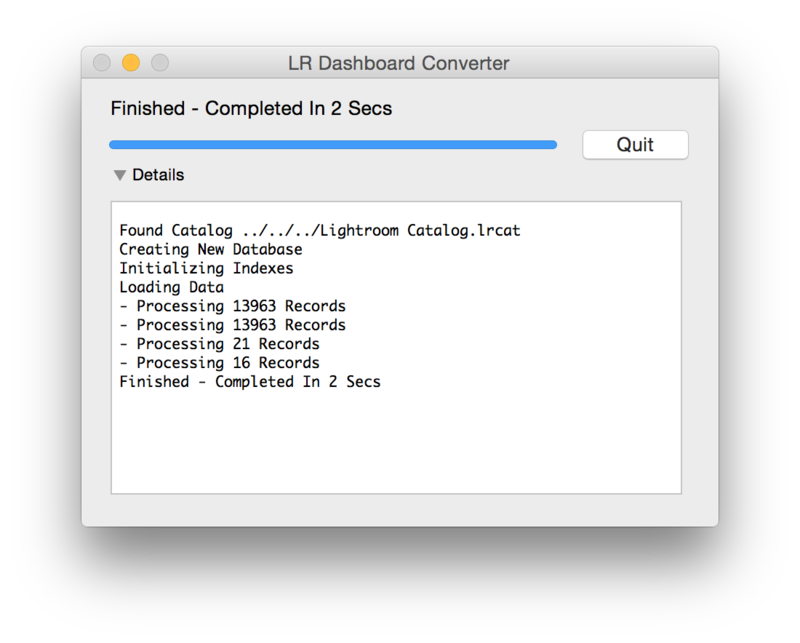 The Lightroom Dashboard only needs roughly 10% of the data contained in your catalog to calculate statistics, although the the excess 90% is also loaded as it is part of the same file. This tool will copy that small 10% into a new file called "lrdashboard.db" which can be used to drag onto the website instead of your regular large .lrcat file, preventing memory crashes. If your Lightroom Catalog is under 1GB in file size then typically no. Even if it's over that it's fine to try and load it, your browser will just give up if It can't handle it, although a successful load is largely dependent on your machine specs. (Free physical memory, browser, operating system etc). Catalogs up to 2.5GB have been loaded without error by some users, how ever your machine may struggle in which case it's a pretty quick and simple fix to use one of these converters and generate a smaller file. There have also been a small portion of users who appeared to have partially corrupted catalog files, which would not load properly, using the converter allowed them to generate a new clean db file which loaded successfully. Drag the new output file (lrdashboard.db) on the load page on the website.